William Davies was a professional photographer who established a number of studios in Melbourne between the 1858 and 1882. Davies was probably born in Manchester, UK and arrived in Melbourne around 1855. He began his photographic career in Australia in the employ of his friend, Walter Woodbury (inventor of the Woodburytype) and the Meade Brothers. 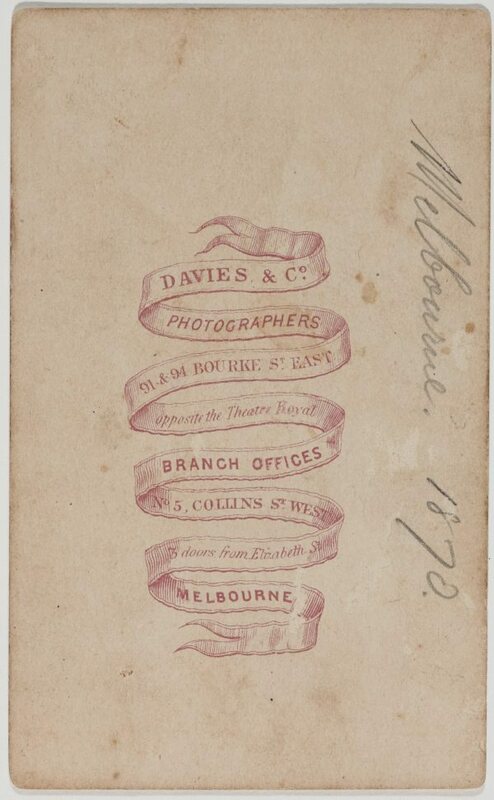 Davies purchased the Meades’ business in 1858 and opened his own studio, William Davies and Co at 98 Bourke St, specialising in albumen photography of individuals and local premises. This address was opposite the Theatre Royal, and Davies took advantage of the proximity by selling cartes de visite of famous actors, actresses and opera singers. In 1861, Davies’s firm showed a number of portraits and images of Melbourne and Fitzroy buildings, often with the proprietors standing outside, at the Victorian Exhibition, and then at the 1862 London International Exhibition, where they received honourable mention. Along with actresses and buildings, the company also specialised in carte de visite portraits of Protestant clergymen posed in the act of writing their sermons. 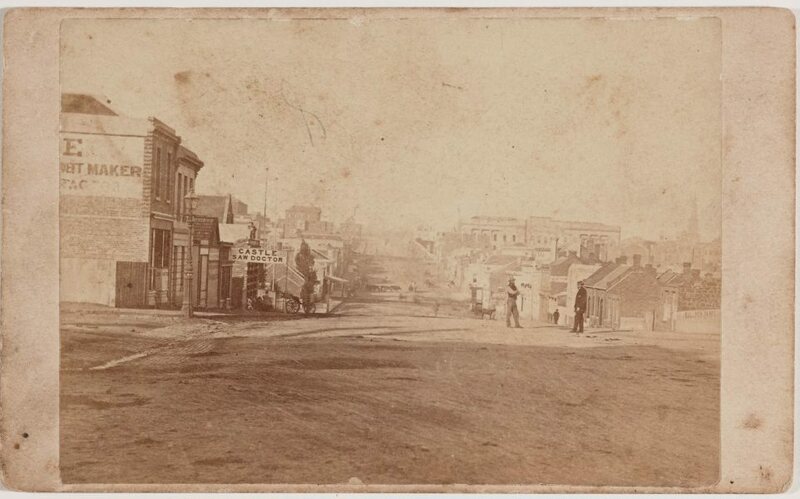 From 1862 to 1870 the firm was located at 94A Bourke St, where they shared the premises with the photographers Cox and Luckin.